Layla and I were joined by half a dozen other dogs and their people for a pre-sunrise hike up toward Wolverine Bowl in the Chugach Mountains this past Thanksgiving. 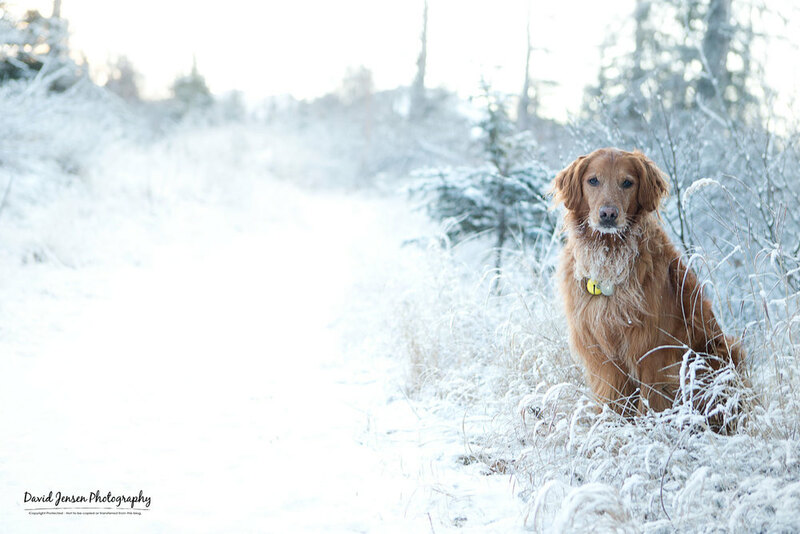 While the hike started with little light beyond the flasher on Layla's collar, we climbed above a heavy cloud layer to discover a beautiful sunrise and even a half inch of snow! The images captured during adventures like this one are already being collected and edited for my third - and perhaps largest project - which will document hiking adventures in Alaska with dogs. 2015 will include adventures with Layla as far as our wheels can take us. The book will include suggestions about some of the best places in the state to take dogs on hikes - from easy to complicated - with gear tips, safety advice and unique photography solutions. Yep - I'll offer some of my trade secrets. The new book will be released in 2016.